Product categories of Stud Welding Gun, we are specialized manufacturers from China, Stud Welding Gun, Stud Chuck suppliers/factory, wholesale high-quality products of Stud Welding Gun R & D and manufacturing, we have the perfect after-sales service and technical support. Look forward to your cooperation! 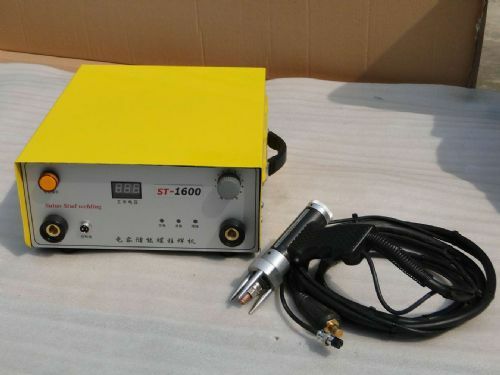 Stud Welding Gun is a metal stud or similar parts, and discharged through the instantaneous pressure, the end face is welded to the welding workpiece. The emergence and development of stud welding only after decades of course, with full cross-section welded stud welding, standardized operation, high efficiency and reliable quality advantages. With the continuous development of the technology has been widely used in the industrial field. Depending on the stud welding works, generally divided into storage stud welding and arc stud welding stud welding two categories.